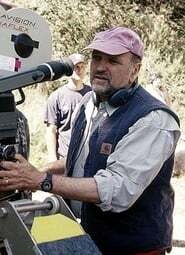 Andrew Davis (born November 21, 1946) is an American film director, producer and cinematographer, noted for the action films Code of Silence, The Fugitive, Chain Reaction, Collateral Damage, Above the Law and Under Siege. Born on the south side of Chicago, Illinois, Davis has directed several films using Chicago as a backdrop. He is the son of actor Nathan Davis and Metta Davis and the brother of musician Richard "Richie" Peter Davis co-founder of the cover band Chicago Catz and Jo Ellen Friedman. After attending Harand Camp of the Theater Arts and Bowen High School, Davis went on to study journalism at the University of Illinois at Urbana-Champaign. It was not long before his interest in civil rights and anti-war issues converged with his growing interest in film-making. Davis was mentored by acclaimed cinematographer Haskell Wexler with whom he worked on Medium Cool and began his film career as a cameraman on blaxploitation films like The Hit Man, Cool Breeze and The Slams in the 1970s. His first feature film as a director was the semi-biographical story, Stony Island. Davis has gone on to direct such films as The Fugitive, Under Siege, Above the Law (both starring Steven Segal), Code of Silence, Holes, The Package and The Guardian. Davis also directed the cutscenes for the videogame Splinter Cell: Chaos Theory. In October 2006, he told a London press conference that he intends to make a film fusing the novels Don Quixote by Miguel de Cervantes and Tom Jones by Henry Fielding.